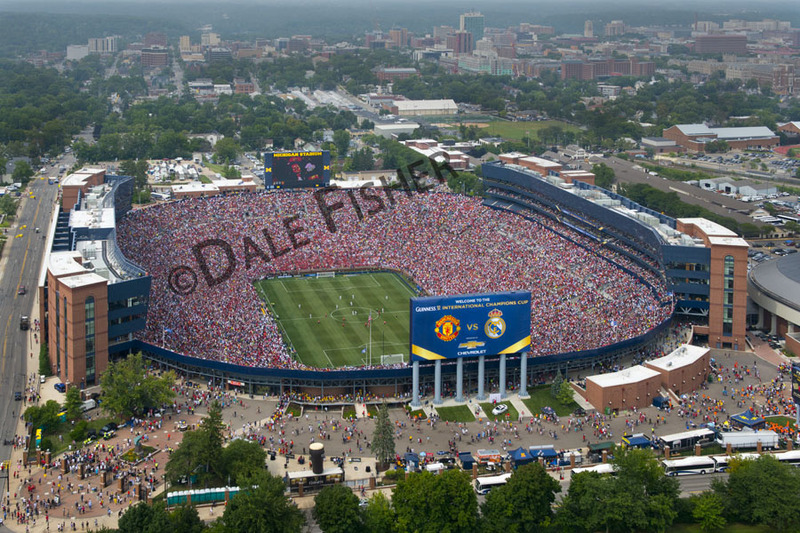 Looking forward to this Saturday, July 30 – we will be in the air photographing the International Champions Cup game between England’s Chelsea FC and Spain’s Real Madrid C.F at Michigan Stadium and the Ann Arbor area. Watch our website for new photographs. 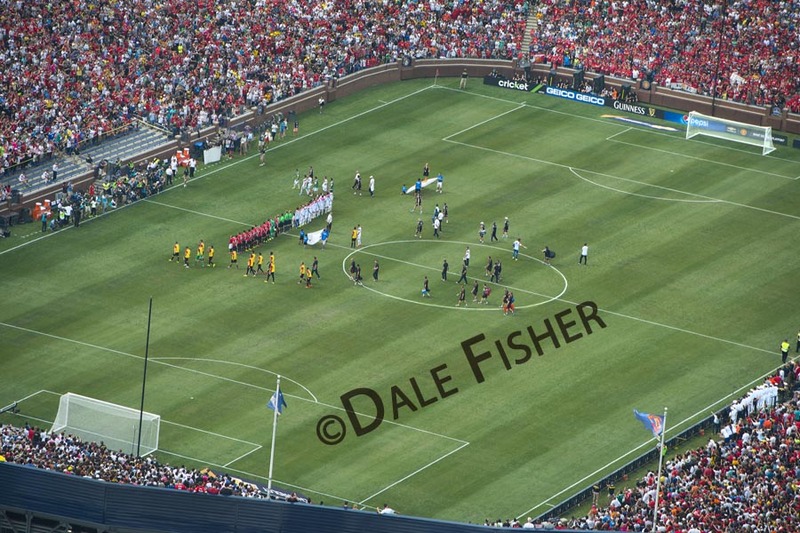 Remember that all of the images on our website are available for purchase. 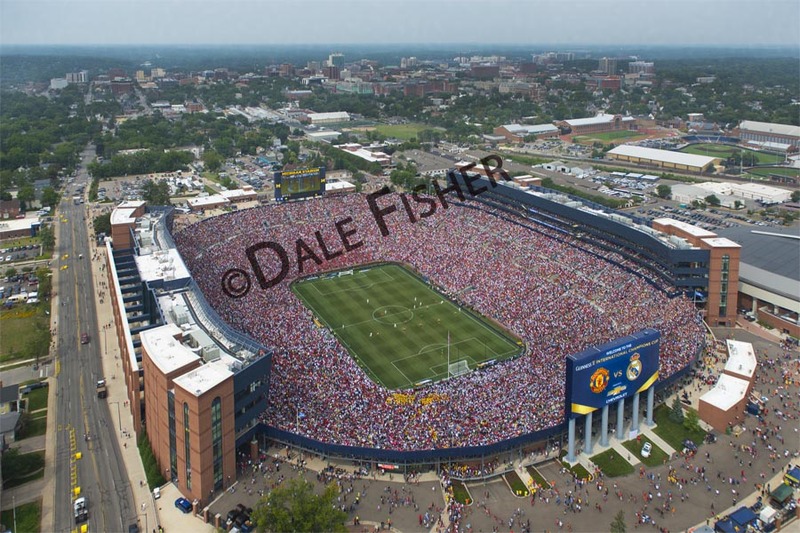 Aerial Helicopter photograph of Michigan Stadium during the Guinness International Champions Cup match between Real Madrid and Manchester United at Michigan Stadium on August 2, 2014 in Ann Arbor, Michigan. The city of Ann Arbor is in the background.